Dr. Shahram Salemy is honored to be promoted to the rank of Clinical Assistant Professor at the University of Washington’s School of Medicine, Department of Surgery, Division of Plastic Surgery. He has been involved in the education of Plastic Surgery Residents since March 2013 when he was appointed as an Assistant Clinical Instructor, which is a position provided to only a few selected plastic surgeons in the state. Dr. Salemy is a graduate of the University of Washington’s School of Medicine, having spent six years in residency at the school’s Plastic and Reconstructive Surgery program. 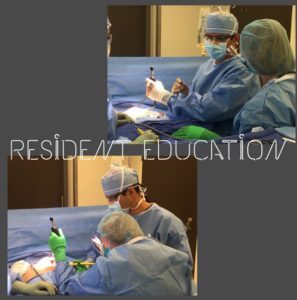 Dr. Salemy states, “It has been a privilege to help train the next generation of plastic surgeons” and he looks forward to continuing to give back to the residency program and in particular to the education of plastic surgery residents.